I would describe it as dark, moving, dramatic, tragic but also moves towards the other side of the spectrum. A minimalism inspired solo-piano album. muy buena musica lo que mas me impresiona es la sencilles de la partitura y que se oiga tan bien muy bonito trabajo y musica excelente . Hey I’m from France. I love your songs, at once melancholic and full of hope ! I need to say thank you Sebastian , for making the sadness the most beautiful notes than I can feel in my skin, its no easy feel scare , be alone, feel that I have to do is fly to the other side where the flower of bad it’s the only you can not see. For long time ago I have anxiety and depression, yes I need pills to control me, but the music and the literature have the most beautiful effect in my days, I used your song ”Into the dark” for recite one of my favorite poems “Al despertar” of Alejandra Pizarnik . I like to you know , you are so special for my! I wrote when I don’t feel good, nothing special but that It’s my favorite therapy… Really Thank you! for all nights that I can sleep feeling peace in my heart. Pd. I hope one day talk to you. Hello, I come from Taiwan.I am a student and major in Motion Picture department , May I use “Into the dark” in my flim? The flim will participate in a flim competition(http://mod.cht.com.tw/microfilm/).If it’s ok I’ll add your name,song,and website on closing credits sequence.Thank you very much. How did you record your compositions? Hi, Sebastian! I send you some months ago an email inviting you to play a concert in my town. I don’t know if you read it. If you want, I can send it to you again. Please, I would be very happy of an answer by you. Hello I’m from Greece! I’m a big fan of your music and it’s an inspiration for me..
what type of piano was used in this album? I’ve tried to google it at least 10 times and I also tried to google the piano in the album cover, and I got no results .-. It is actually all digital, that’s why you can’t find it. Wow, look at all the comments,these people are devoted to your music.Well then again,I’m too.Really helps me through times and hard stuff. Hi! It´s me again, the silly teenager that couldn´t draw for 1 year, now almost 3…once I visited this web page, and that day I painted a beautiful sky and leaved a comment. I think about what your songs do to me at least 5 times per month….thanks for making me smile this way. Hey Larsson, can you post Lost In the Moment sheet music?? Hi I just wanted to ask wether there will be any updates in the future … Sheets or New Songs or anything ? Cause it feels like you have stopped to be online 🙁 so I’ve been waiting for something for a long time …i would like To know if it was / is still worth it ? Wow your songs are excellent … You are a master of musical art, my respects, I really admire sebastian larsson … I am a pianist but not the music or read the notes … Only touch me and learn the songs … But Beethoven or what you admire so much, have a great future and a great talent … I know! … Beethoven is not as good as you! I really really love your music! I’ts so relaxing.. Happened to find out about your music through youtube. Quite possibly the kind of music I am looking for, so much depth in those minor keys that leave subjective and infinite imaginative possibilities for different individuals. Bought the CD straight from Amazon and couldn’t be more happy to have these tunes with me on long drives or flights. Really looking forward to your future pieces. NO not to ruin.I love sebastian. But we must not tarnish his art with things today. I fell in love with this album, is beautiful and dramatic, the first song I’ve heard was Into the dark and now I’m listening for another songs. Thanks. I really love your music… where you from? I didn’t know you… where have u been all my life??! Simply a majestic album! ‘This empty castle’ has it all, soothing to start followed by a magical and haunting ‘main’ then ends as it begins…….A true talent, keep it up! Your music is so deep so intense. It’s amazing. It’s truly amazing. So perfectly played. So tragic. I don’t know if this is a gift or if everyone can do this. But I can feel your music. I can play it in my head and replay parts of my life that fit it so perfectly. It’s like a soundtrack for tragic moments and it’s just so beautiful. So fragile. Thank you. Music is my life and now you’ve made this beautiful lament that I’ll play forever. Thank You. Sometimes just simple is perfect. This album is just simple and perfect. I love the intervals and basic Major/Minor scales and shifts you’ve used/made. Thanks a lot. Hola… Tú cancion es preciosa. Me hace sentir y reflexionar, además de la sensación de mucha paz y tranquilidad. Felicitaciones…desde Chile. Tu obra es grandiosa. Dios mío! Tus canciones me han llegado al alma. Vanessa said your music is really beautiful and you have reached her hearth with your piano… I agree completely. I had a gay music teacher as a kid and really hope you didnt and judging by the beautiful music you did,your music teacher wasnt gay. Thanks for at least having one person to make beautiful music.When I was in school, our music teacher was gay, well and still is, that is if he is living. Anyways he was horrible at making good music…I hated my music teacher. Sebastian, Mate i must say you have an amazing talant which im sure you have work hard to perfect. your music is so moving i really enjoy listening to it. 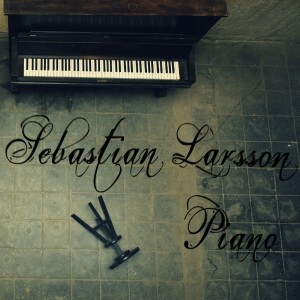 Sebastian, I find your music more than beautiful. It’s inspirational, and moving. I’m so happy you have it here, it’s amazing. I’m looking forward to your music in the future. Thank you for your music. A piano has always been the instrument that evokes deep emotions in me. So it also happens when I listen to your album. Wonderful sadness of the piano unfolds here its effect. One cannot escape. Thank you for that. i love your piano songs they me cry. I heard your song “Into the Dark” and thought it was amazing. I didn’t even realize it but half-way through it I was crying. Most piano compositions don’t move me to tears (no matter how beautiful they are) but that song did. I can’t even begin to describe how it made me feel. It was like all my fears, my sorrows, my regrets, all of that, had been waiting to burst out of me but a dam (a mental block) was holding it all back like it was water. But when I heard that song, I guess it kind of made it burst because it was so beautiful and so melancholic. That’s not even half of what I feel but if I tried to describe everything I was feeling as I listened to it, you’d get around 5 pages. It’s just amazing. Hopefully I’ll be able to buy and album of yours. “Into the dark” es un tema muy hermoso. Me encantó… estoy sin palabras. Te felicito, sos un GRAN pianista. Oh my gosh, man.. you are AMAZING! I discovered you from song “Into the Dark” and my soul is after a loooong time rising! If you can send me sheets for other songs I would be glad. I wish you very nice year 2012 and thank you for your music, love it! Actually i my feelings is more than writing on this page. if i start from today untill tomorrow i swear i will not finish. Your piano songs are like a hope candle in a world of darkness . I had lieeek…1 year without drawing, and I must admitt I was (AM) pretty good at it…& since I heard you playing I totally noticed that —> You are my Muse!!! lol …..well not lol! SERIOUSLY :´) …. Your songs are so creative!!! And deep….gosh Im impressed and inspired at 100000% ! These songs are amazing. So simple, and yet so heart-breakingly beautiful. These songs make me want to cry (in a good way). I am not trying to brag at all whatsoever or take credit for anything, but I leave Jan. 16 for Marine Corps Boot Camp, and your music really makes me think and moves me. It really is beautiful and I hope you never stop playing/composing music. Truly Amazing. Semper Fi. Hello, I really admire your work. I just started playing serieusly, so I’m not going to be able to play any of these songs, but I like to see across the night sky as my goal. If you have it available, I would very much like to have this as sheet music so I can practise to reach that goal. Do you have the sheet music for the other songs? Sebastian, I’m a great fan of your music. Like everyone else, I discovered you through your song “Into the Dark” eventually found your other works. I was wondering if you had an update on the sheet music for Empty Piano? This would be a great practice piece for my college studies, just to calm me down. Can you please tell me where I can find the sheets of your music? I would like to play some of them. Well you got out your album i bought it from your band camp site for 5 bucks threw in some extra cash and I may buy it a couple more times to spread around. I have been waiting for it awhile glad u got it released. Amazing simply amazing. I posted this comment on your you tube page as well. I fell in love with “Into the Dark” the first time I heard it. When I heard your other songs I fell in love with them too. They are so sad, and so beautiful. I don’t like many piano songs, but I love yours. Thank you for creating such wonderful music. Wow was really lost in the moment annd Into the dark was very also amazing your a wondurful pianist I could listen to it all day. It kinda makes me think.I like this type of music very nice and saddening. It’s like I could see your melody in my mind. Really like your kind of music! So relaxing and sad..
Hi Sebastian your song are soooo beautifull, I want buy your CD or Digital CD bcause your music are very best. My child have 5 month and he like it…more when he sleep. Thank you for you music and say HELLO to SVEDEN wonderfull PLACE. Hi….dear Sebastian I’m from Armenia, my name is Armine…I really enjoy your music <> i love it, and it makes me cry…please can you tell me how can i find that music’s nots…..
the sad song piano made me cry and think a lot about my life and everything i hear it all the time i also sent it to my friends it also affected them this is the best piano tune i’ve ever heard in my life. thnx a lot. Hi ,I want to say that i’m hearing your sad piano song all the time . I just want to ask ,if you could send me your notes for this song ? I’m looking forward to hearing from you . The dark. I am intrigued by the song and the melody and would love to play it if you would grace me with the sheet music via email I would be most greatfull . I would also like to add that my favorite piece of yours is “Into the Dark”, I though it was absolutely marvelous and I would love to hear more, and on that note, basically, just keep doing what your doing on the piano- your very good at it! I have herd your music on YouTube and I absolutely love your music. I think it is very dramatic in a good way, thouh I am only 11, I know talent, I too am a musician and like I said, I know talent when I see it and you’ve got it! Keep giving the world the wonders of music Sebastian. Just wanted to stop in. I bought your song awile back, and really enjoy it. Im have a couple more people buying the song. I can’t wait for your to release your album. I found your song by accident on youtube. I’ll keep checking to see if you released it. I definetly want to get it!!!!! hi, i’m just curious if there are any other bits of help you might be able to give on learning “into the dark”, I cant read sheet music sadly, but I learn well from watching it be played, and I have only found one video on youtube that helps. I know you have to be busy with other things, but any help is greatly appreciated. I like the sad piano song. If i hear it u must think about smoking.how bad it actually is.and what bad destinys it couse. It inspired me a bit hear my version.i added strings and oboe. Hello, Sebastian… I’ve heard your song, “Into the Dark” for the first time on YouTube. I really love that song… the feelings that came through those beautiful melodies put me into a real darkness. Believe me… I cried for a whole month because of this song! I don’t know it’s just that the tears are keep running down through my eyes. I can’t forget the feelings that turn me into trance from that song. Sometimes, I stop… of course, but it was like 5 minutes or even less! My parents become worried, they keep telling me to stop crying but I can’t stop it myself either! Once my brother yells at me madly, telling me to stop, he even hit me using a drum stick & swearing at me. It’s just that, every time I heard this song… its feelings kept its way to go stab my heart in a flash… it’s stab me right on the heart. It turns me into trance, my minds aren’t working well at all, I felt like… I can’t breathe, my eyes blurred because of the tears, but I feel nothing but sadness… I felt nothing happens to me, I felt like… the aura of the song, which is darkness I guess, break me into pieces… and I’m happy because of it, then I let the melody to destroy me. I couldn’t move my body and could just stay there, in my room, and keep listening into your song… even if my brother or my parents would stop the song. The melody isn’t stop in my mind. For me, tears for a sad song are ‘price’ for its beauty. This song turns me crazy… your song is beautiful. It’s priceless. For me, tears for a sad song are ‘price’ for its beauty. This song turns me crazy… your song is beautiful. Priceless. Hello. I enjoy your music GREATLY. I appreciate you for your work and the song “Into the Dark”. I’m actually learning your song right now. I’m having troubles @ the part where you have all those sharps and stuff. I got the full first and 1/3rd of the second page completed and learned. I just need the 2/3rd and last full page of the song to complete until the concert I have to play, on November 4th, 2010. Your piece is my project and I love the song a lot. I’m 16 and this is my own writing, no one is writing this for me. I’m getting lots of help from my piano teacher but I’d just like to ask you, if it may not be much trouble; Can you help me with your song? I need all the help I can get and right now, I’m going at an unexpectedly slow pace and it took me a couple weeks just to get down the 1st and 1/3rd of the 2nd page done. I’m afraid I might not be able to complete your piece, fully, before the concert. I absolutely NEED your help on how to easily complete the rest of your piece before November 4th. I ask you not to hold my hand through it but to simply guide me to a simpler technique, in order to do this song right until the concert. Please, I hope I am asking little of your time. I thank you for your work and for allowing me to use your piece as my concert project. From a beginner, to an expert. I ask you to help me, if you can. Thank you, and I wish you a great week. When that parts go up and down with modulation, it’s all about comfort and confidence in moving into these parts. Like learning to play guitar, the simple task of going between G and C is all about just throwing your fingers there, until your muscle memory takes care of it automatically for you. The lasts parts are easier to play i think, if you’re not a big sheet music reader and go by memory, there’s some rests between into those parts that gives you some time to move into them if you leave the rest to sound out with the sustain. Hallooooooo! I love love love love love love your piano songs… when i heard the song Into the Dark I felt that the melody was describing my past and present… I want to download the song but I CAN’T!!!!! Why? Well, because I live in Mexico!!!! I’m so desperate to download the song… so do you know any place that I can download it???? Oh and well I love music A LOT it’s my whole life, and i really want to become a singer some day, i do my songs and i even try to produce it… and i know that im just a teen but can you give me any ideas on how to become a successful singer?